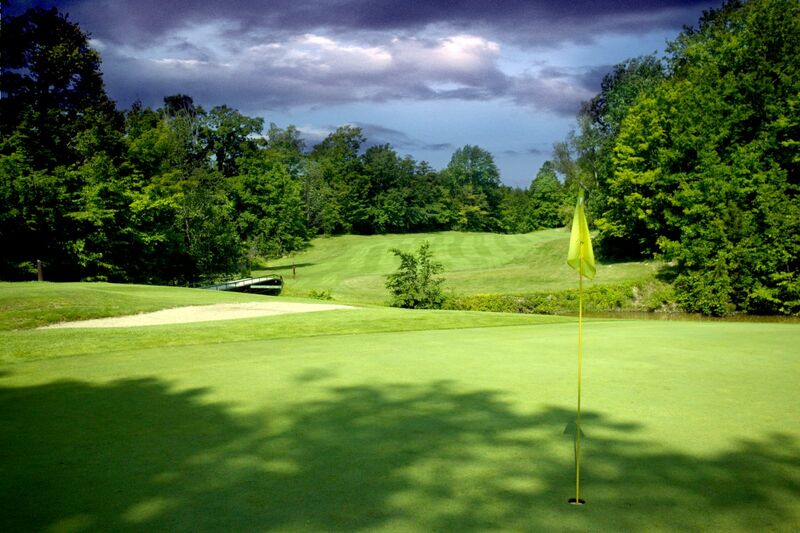 This Ross Axford designed 18 hole championship layout, is one of Southwestern Ontario's truly scenic courses. This par 71, 6539 yard course has been assigned a G.A.O. (Golf Association of Ontario) slope rating of 133 (highest in Lambton County) and was rated best Golf Course of all Southwestern Courses by the London Free Press in 2003. The course requires careful thought in your shot consideration. The terrain is hilly and well wooded with ponds and streams coming into play on eleven holes. There are over 50 traps and bunkers for the golfer to play around. The most memorable attributes of Indian Hills are its greens and the manner in which the layout design was crafted onto the terrain. When you come play the Indian Hills Golf Club, you will thoroughly take pleasure in our professionally operated facilities. Our Pro Shop has much of the newest gear at great prices. And if you are hungry before or after your round of golf, be sure to stop in for a delicious bite at our restaurant. For the golfer who has to work late, we are equipped with a driving range where you can sharpen your skills or take a lesson from one of our golf professionals. Indian Hills Golf Club has an eager staff that is committed to providing you with customer service that will make your golf visit unforgettable. We feature several membership and golf lesson packages to best suit your needs and budget. So what are you waiting for? Give us a call and come take a guided tour of our facility. Contact our Pro Shop for all the details and benefits to our golf lessons and memberships.